Good morning. The coming week is an important one for the currency markets. We have some important economic releases from the Eurozone that could affect the value of the Euro. In the UK we have the quarterly ‘Super Thursday’ releases from the Bank of England that could affect the Pound. The USD could also move on Central Bank policy and data releases. In today’s post I’ll take a detailed look at the week ahead, and how the releases could affect exchange rates. For a detailed forecast and quote on the currency pair you are looking at, get in touch today. As regular readers will know, the Pound has been kept under pressure of late due to Brexit uncertainty. This week however, economic data could come back into focus. Thursday is the important day, as we have the quarterly release from the Bank of England that is dubbed ‘Super Thursday’. There’s a huge raft of data releases for the currency markets to chew on: Latest Construction Data, BoE Interest Rate Decision, BoE Monetary Policy statement, BoE Quarterly Inflation Report, BoE MPC Vote Split, BoE Governor Mark Carney Speech. As you can see there are a significant amount of releases. The news from the BoE will be very closely watched. I don’t think that interest rates will move given recent economic data. However how the 9 members vote will be key. I think that 2 members will vote for a rate hike. If 3 or more do, expect the Pound to gain. If it’s less than 2, then Sterling is likely to weaken. The minutes to the meeting, Carney’s speech, and the inflation numbers will all help markets to try and second guess when interest rates are going up. Ultimately anything the lends support to the case for hiking rates would help the Pound gain and vice versa. Any gains that we see for Sterling exchanges should potentially be taken advantage of. Brexit uncertainty is going to limit any possible gains in the rate. 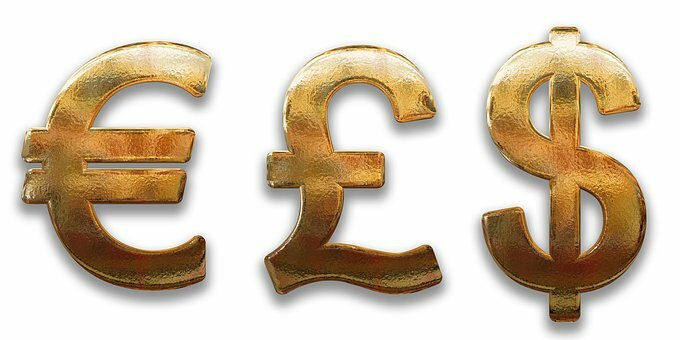 If you need to convert Pounds to another currency then it’s crucial that you are in a position to take advantage if you see a spike in your favour. The first step is getting in touch so you can register a free trading account with us. In this way you can get a live rate, and be able to book a trade should you wish to do so. For the single currency, the week ahead is all about economic data releases. Tomorrow we have the latest GDP, Unemployment and inflation numbers. All three of these are very important releases. If the actual result differs from forecast, then GBPEUR rates could move as the value of the Euro changes. We expect GDP to have increased by +0.4%. Unemployment to be 8.3%. inflation is expected to be sat around 1%. GDP and inflation are the 2 most important ones. A higher reading than the expected would strengthen the Euro and pull GBPEUR rates lower. If you need to buy or sell Euros, and would like a more detailed outlook of which way rates are going, or would simply like a quick quote, get in touch today. The USD is pretty strong at the moment thanks to some pretty impressive growth figures last week showing the US economy grew by 4.1%. Trump was quick to ensure that everyone knew that this was all his doing and how his presidency is the greatest. Markets were already expecting the number though so it didn’t affect GBPUSD too much. This week will be another one to watch for a slew of data releases, in addition to a FED interest rate decision. Starting with data, this week we have inflation numbers for the US, Jobless numbers, Unemployment figures, and the ‘Non-Farm’ payroll numbers on Friday. It’s the Non-Farms that are likely to cause the most volatility. The number is often very different to what markets expect, and as such, it can move GBPUSD rates. Markets are expecting, and have priced in, an additional 195,000 new jobs. If the number is more than this, GBPUSD will fall. If the number is less, GBPUSD will rise. Moving on to central bank policy, we’ll see the latest FED decision on Wednesday. I don’t think they will move interest rates from the current 2%. If however they hint that rates will rise several more times this year, then there is potential for the USD to strengthen further, which could pull GBP/USD rates as low as $1.30. If you need to buy or sell USD and want the best rates, see what we can offer you by clicking here.